The new entity comes as eProseed expands its products and services to a growing number of customers. “We are always looking at better ways of supporting our customers and opening an office in Paris is a next logical step in that commitment”, comments Geoffroy de Lamalle, Chief Executive Officer of eProseed. “eProseed is experiencing consistent expansion in both domestic and foreign markets. We export our expertise within and beyond Europe, from the Middle East to Australia and the USA, providing professional services and software tools to multiple private and public organizations across all sectors. In particular, contacts have been established with highly-regulated industries in France and a strong interest was confirmed for eProseed FSIP, our supervision and insights platform, along with Oracle Fusion Middleware and Oracle Cloud Integration Services offered by eProseed”, says Geoffroy de Lamalle. 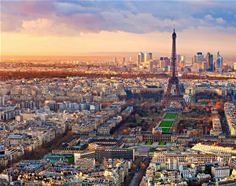 “France is the world’s fifth largest economy in terms of gross domestic product and the second largest European industrial power”, adds Guy Ernoul, the newly appointed Solution Director for France. “As the country continues its digital transformation efforts, new challenges arise which need to be identified and solved. This is where eProseed comes in, the underlying rationale of the company’s approach being to support customers in solving their hardest challenges”.